No, thank you. The HE flow from high DPM cruisers and destroyers is already challenging enough without golden bullet ammunition. I think that if WeeGee were to go down that road they’d see a similar exodus of players as they saw from WoT. Happy New Year, everyone. TOG has open positions for new members who are looking to game with more "seasoned" players. Check out our website at https://theoldguys.enjin.com for more information. Are you looking for a clan that: 1. Enjoys WoWS. 2. Realizes that this is a game, and who's first rule in the bi-laws is to have fun. 3. Does not suffer from PMS (Putting up With Millenial's Stuff). 4. Participates in clan battles, but still has that casual gaming feeling? Are You: 1. 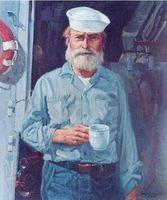 An older captain, or are you a young buck with an "seasoned" soul? 2. A veteran or first responder? (This can be waived, because we all "serve" in some way.) 3. Active at least weekly in WoWS, and willing to participate in clan activities? 4. 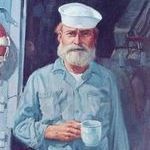 Enjoy giving your shipmates a hard time as much as you enjoy earning the kracken award? If you're still interested, TOG (The Old Guys) has open slots available. Check out our website at https://theoldguys.enjin.com We have a fully upgraded port, and have expanded to 50 slots. We currently have 6 slots available. We have no skill test, or minimum required stats. New players are always welcome. We have a dedicated teamspeak server to support clan activities and gaming. We're a group of older veterans, first responders and civilians who just enjoy having a good time together playing a great game. We hope to hear from you.